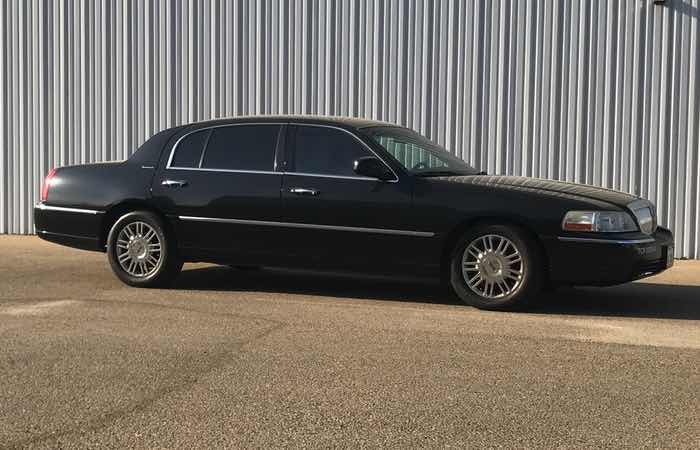 Features: All black leather interior, accommodates up to 3 passengers, large trunk for luggage, perfect for airport travel, corporate meetings and much more! 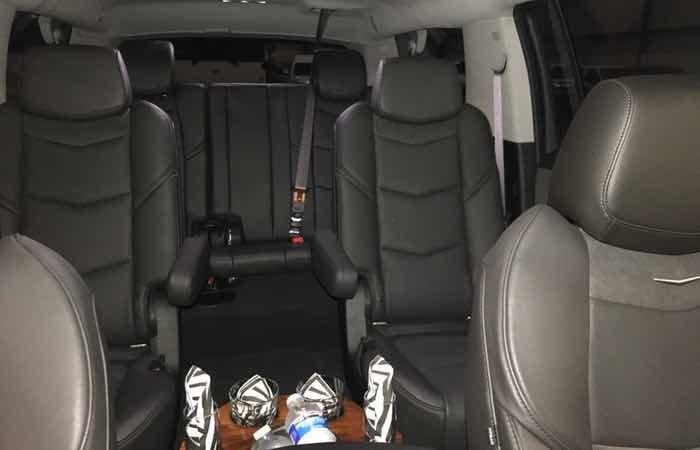 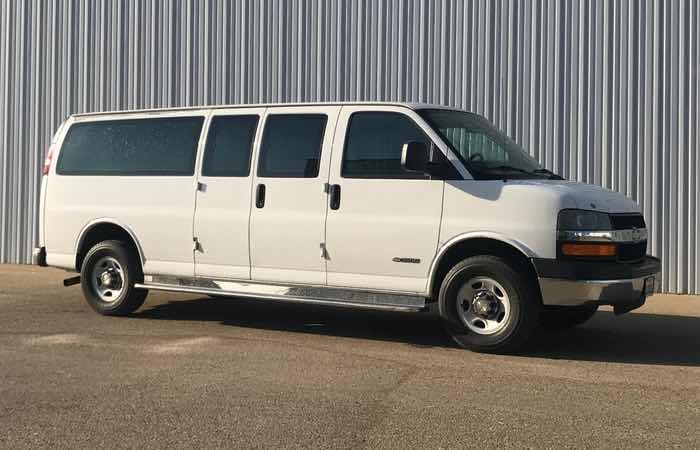 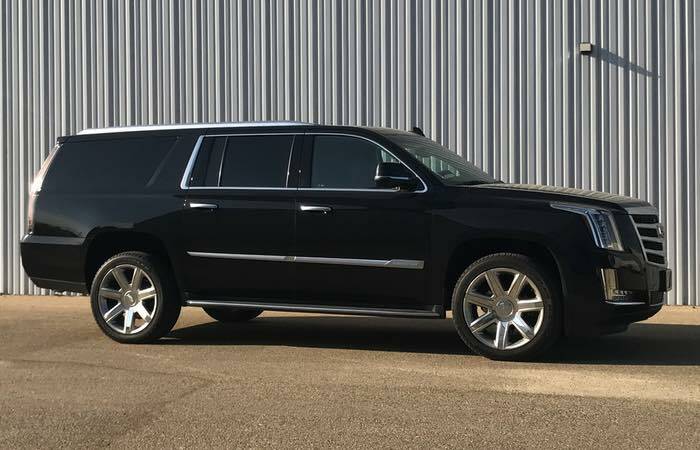 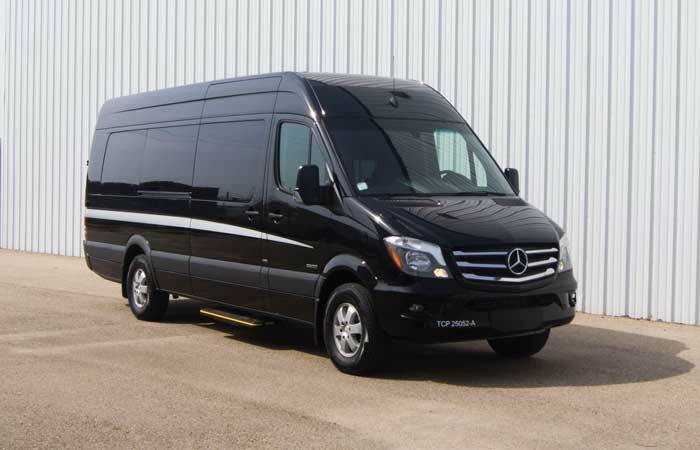 Features: All black leather interior, accommodates up to 6 passengers, large back cargo area for luggage, perfect for airport travel, corporate meetings, and anything else you might need! 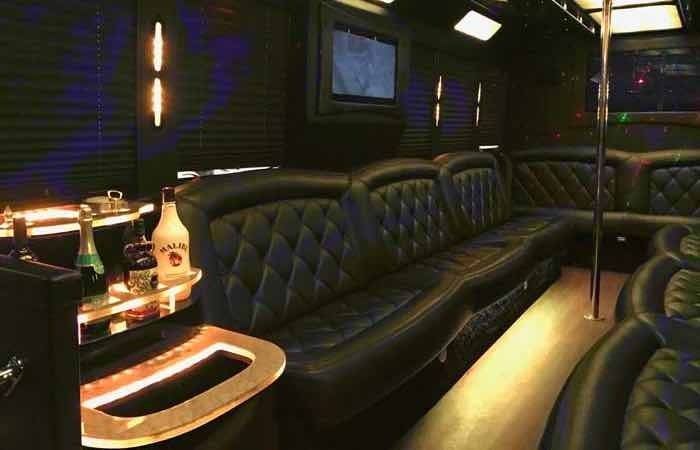 All black leather interior, starlight twinkle ceiling, top of the line sound system with Bluetooth capability and auxiliary hook up, privacy divider window, along with complementary water and ice packed bars. 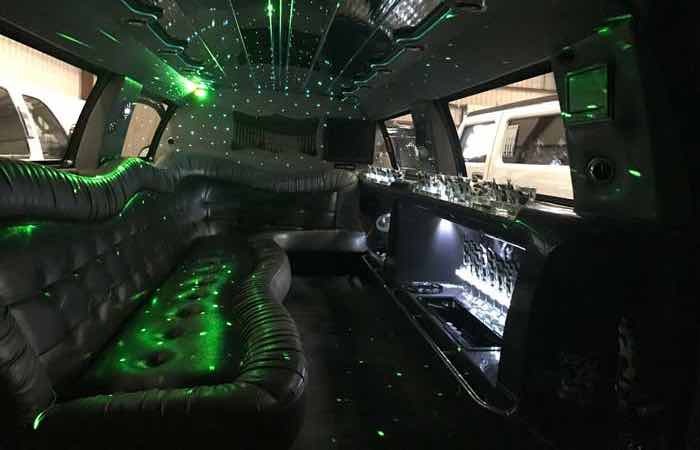 Features: Black ostrich leather seats, disco floor and ceiling, neon lights, led lighting, privacy divider window, top of the line sound system with Bluetooth capability and auxiliary hook up, touch screen controls, along with complementary water and ice packed bars. 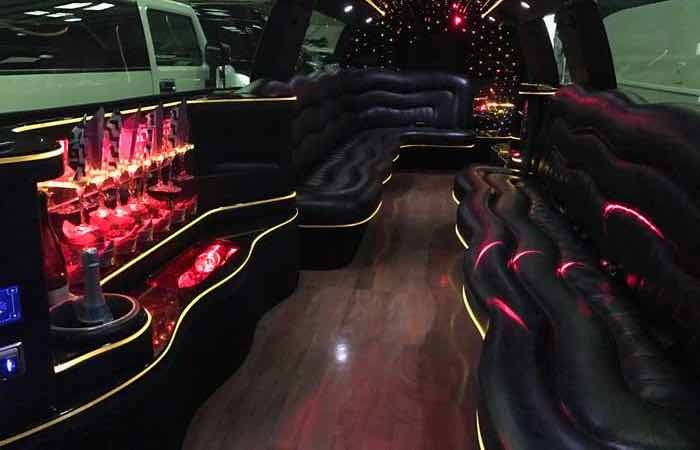 Black ostrich leather seats, disco floor and ceiling, neon lights, led lighting, privacy divider window, top of the line sound system with Bluetooth capability and auxiliary hook up, touch screen controls, along with complementary water and ice packed bars. 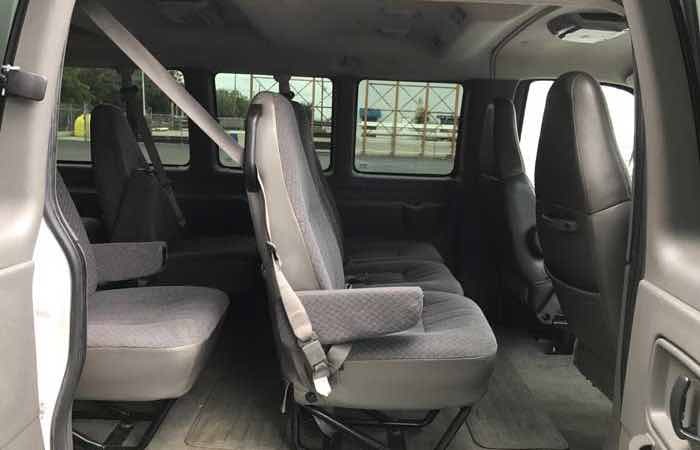 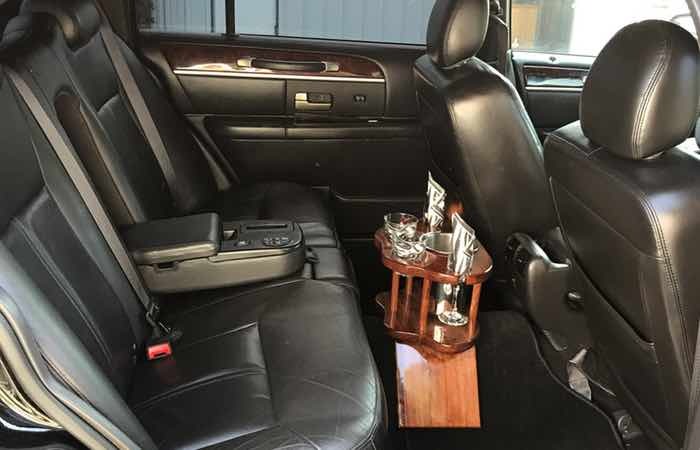 Features: Captain chair seating for up to 11 passengers, perfect for airport travel, corporate meetings, wedding shuttle and anything else you might need! 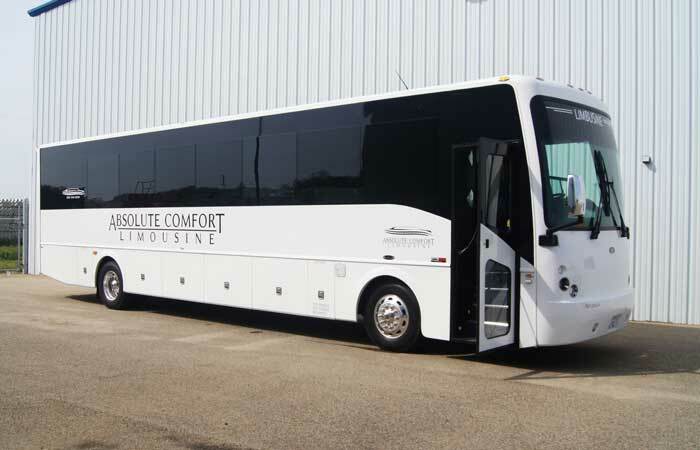 Two tone leather seats, hardwood floors, laser lights, 2 flat screen TV’s, mood sequence lighting, privacy divider window, top of the line sound system with Bluetooth capability and auxiliary hook up, luggage compartment, along with complimentary water and ice packed bars. 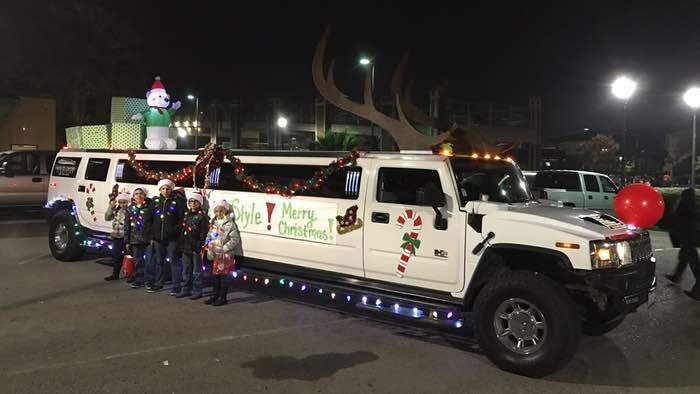 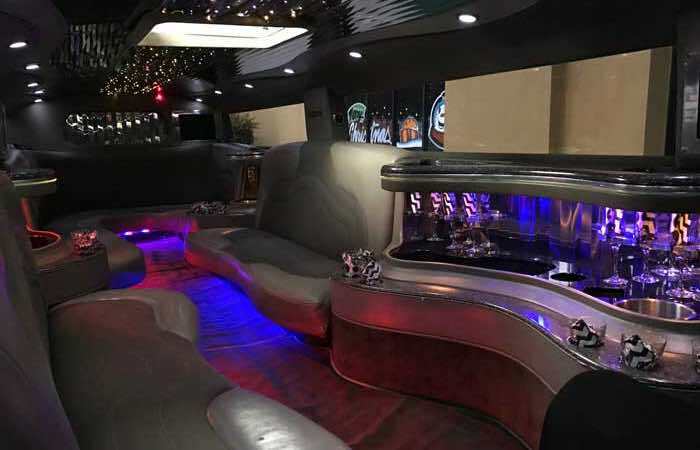 Two tone leather interior, mirrored twinkle ceiling, privacy divider window, laser lights, top of the line sound system with Bluetooth capability and auxiliary hook up, along with complementary water and ice packed bars. 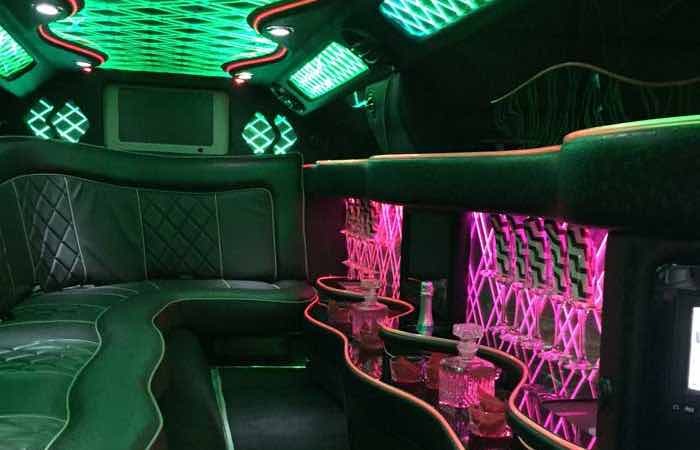 Tan leather interior, color changing neon, mirrored twinkle ceiling, laser lights, privacy divider window, top of the line sound system with Bluetooth capability and auxiliary hook up, along with complementary water and ice packed bars. 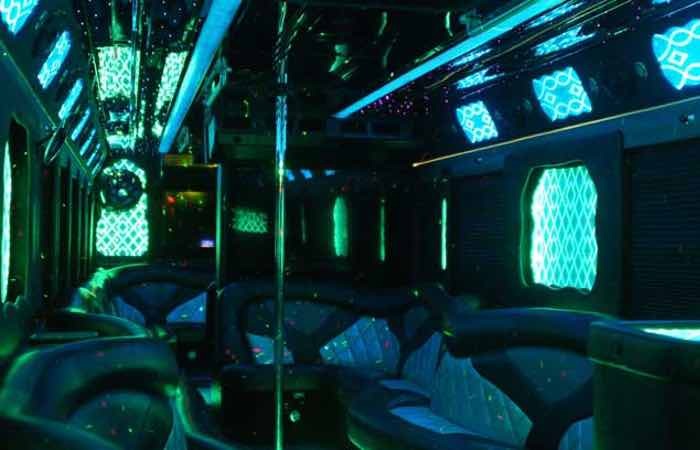 Black leather interior, color changing neon, mirrored twinkle ceiling, laser lights, privacy divider window, top of the line sound system with Bluetooth capability and auxiliary hook up, along with complementary water and ice packed bars. 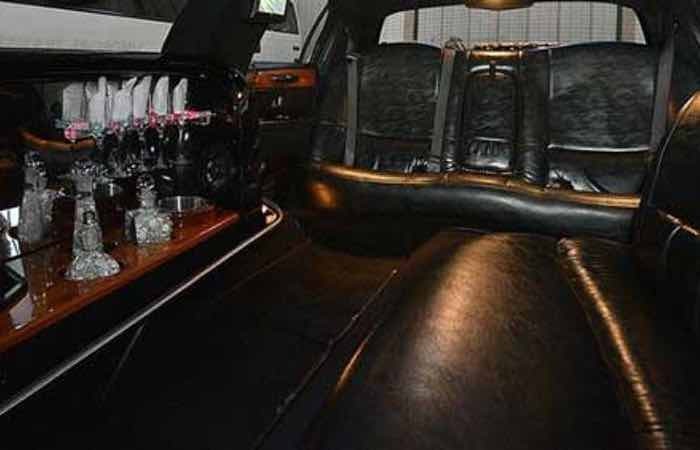 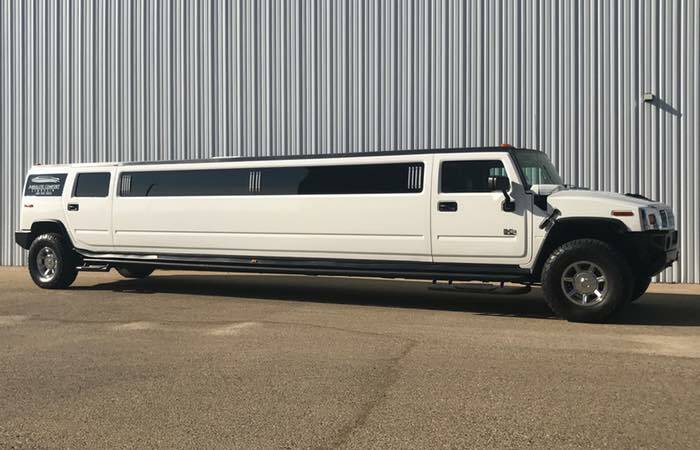 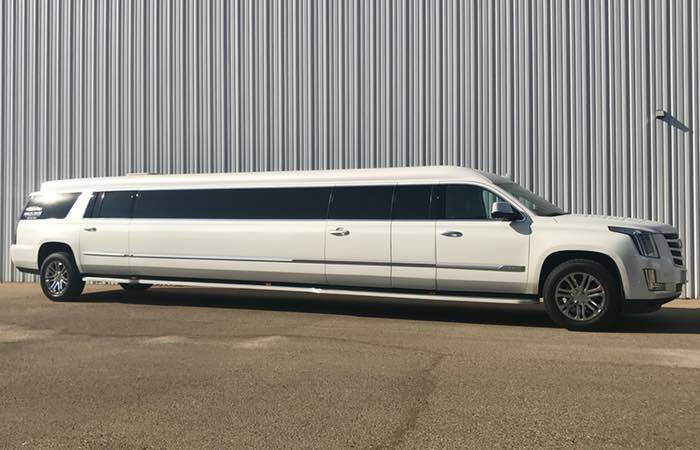 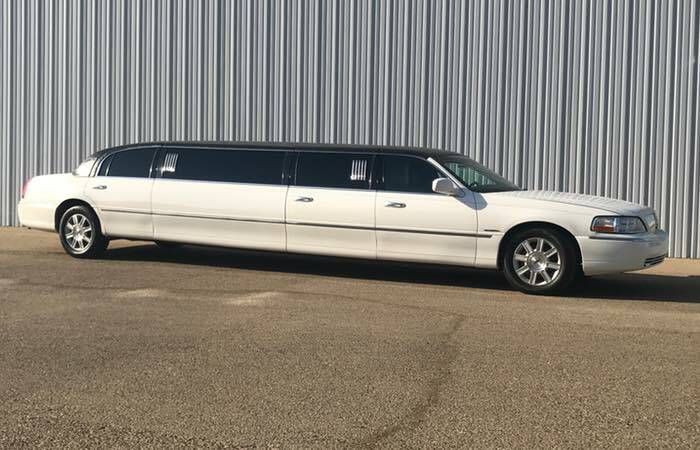 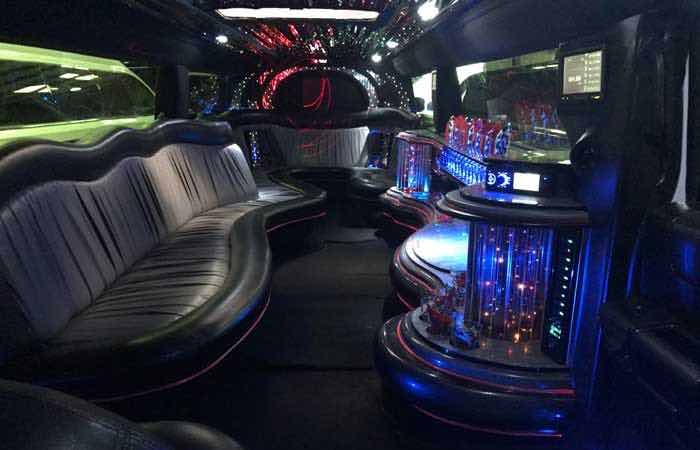 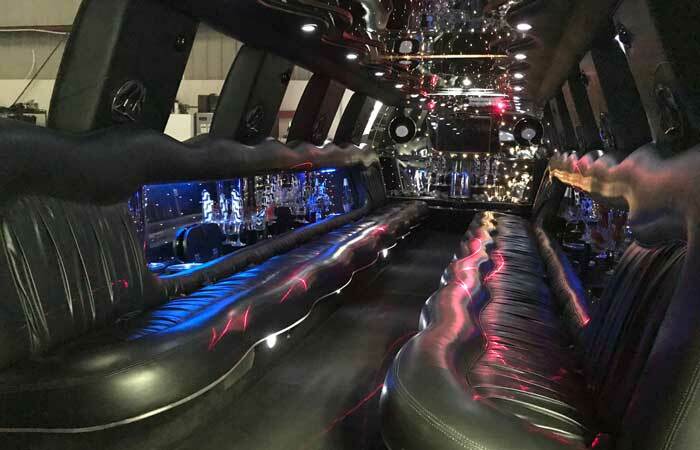 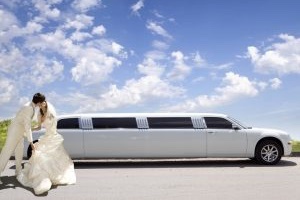 Black leather interior, privacy divider window, mirrored twinkle ceiling, laser lights, 5th door for easy access in and out of the limo, top of the line sound system with Bluetooth capability and auxiliary hook up, along with complementary water and ice packed bars. 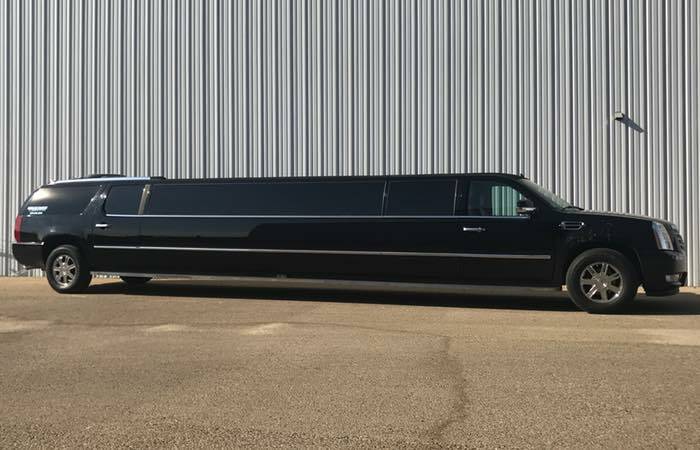 All black ostrich leather interior, privacy divider window, twinkle mirrored ceiling, 5th door for easy access in and out of the limo, hardwood floors, color changing light bars, top of the line sound system with Bluetooth capability and auxiliary hook up, laser lights, luggage compartment, along with complimentary water and ice packed bars. 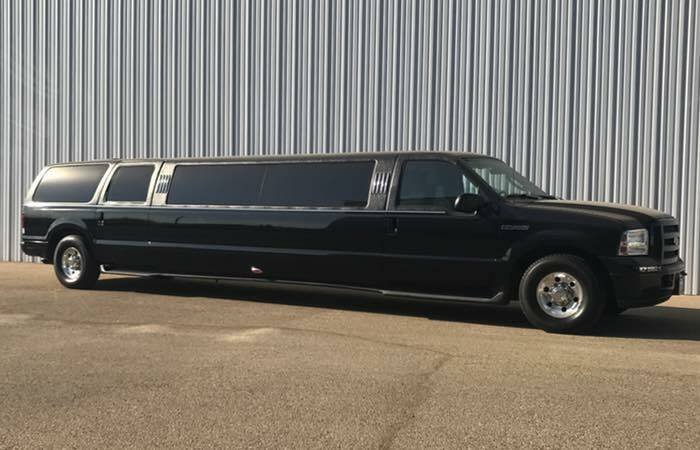 Custom Built 200” stretch with amazing interior light show, 5th door for easy access in and out of the limo, carbon fiber interior, laser lights, strobe lights, built in bar areas, TV’s, awesome sound system with Bluetooth radio and auxiliary hookups, raised roof for additional head space inside, privacy divider window, luggage compartment, along with complimentary water and ice packed bars. 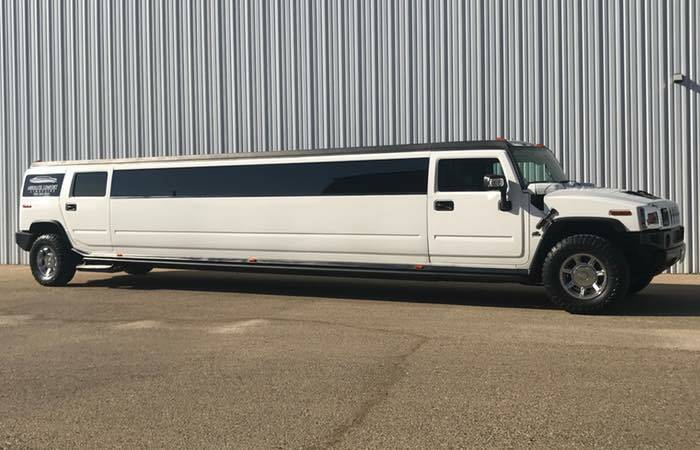 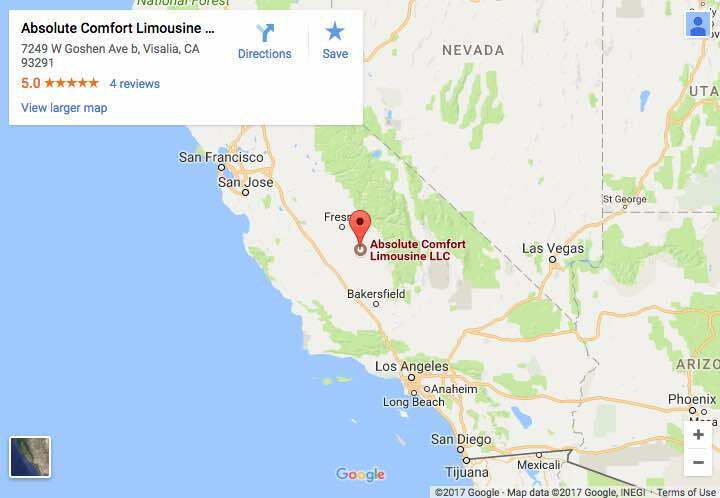 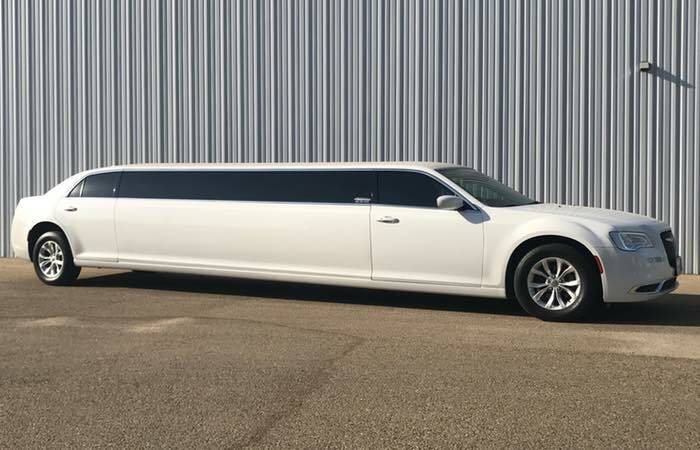 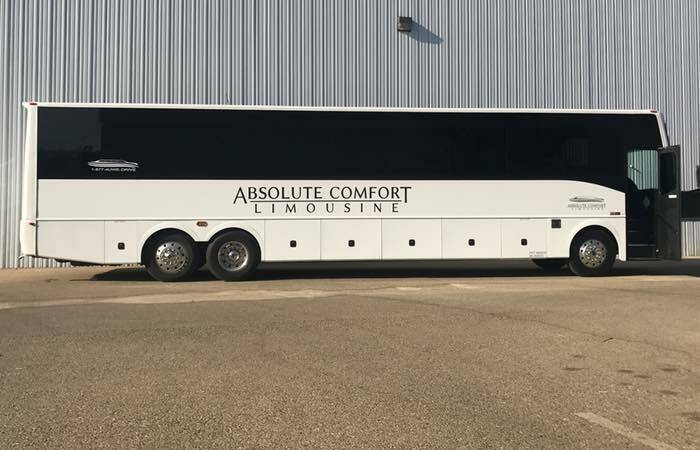 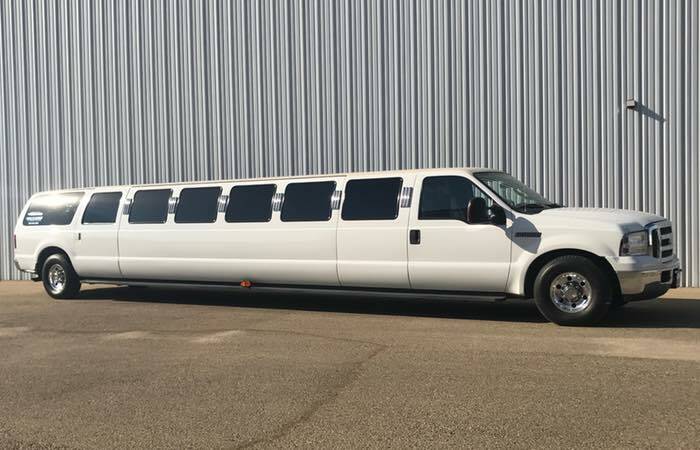 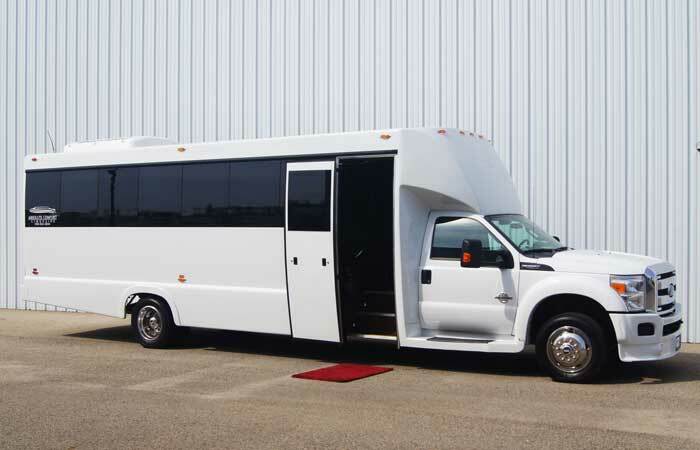 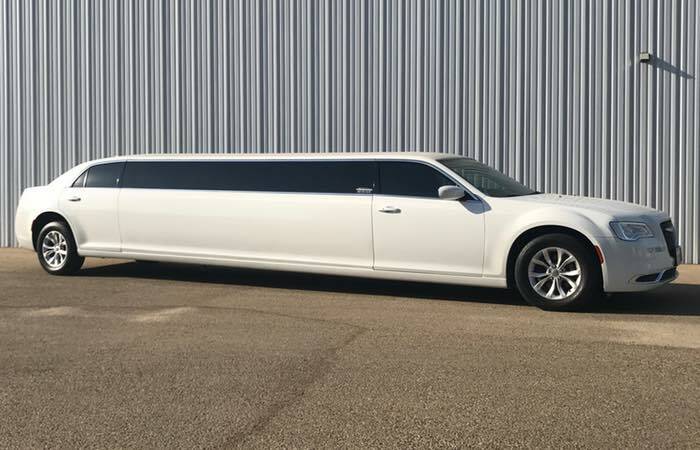 Leather seats, hardwood floors, dance pole, bathroom, laser lights, strobe lights, privacy divider window, mood sequence lighting, 4 flat screen TVs, top of the line sound system with Bluetooth capability and auxiliary hook up, luggage compartment, along with complimentary water and ice packed bars. 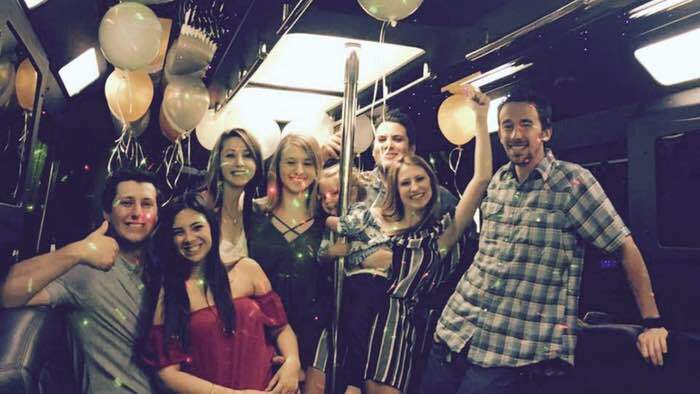 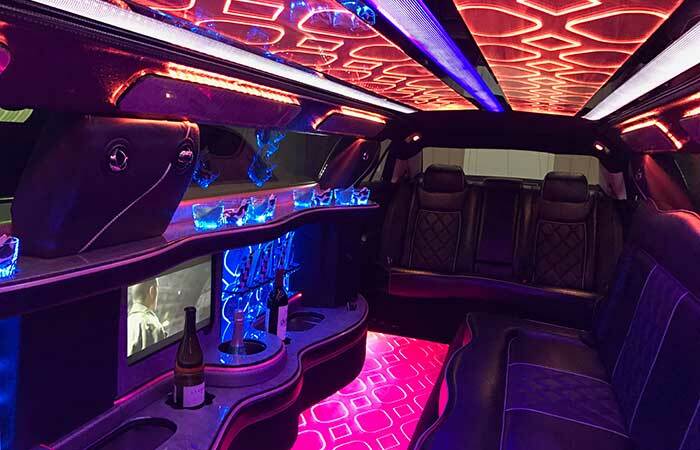 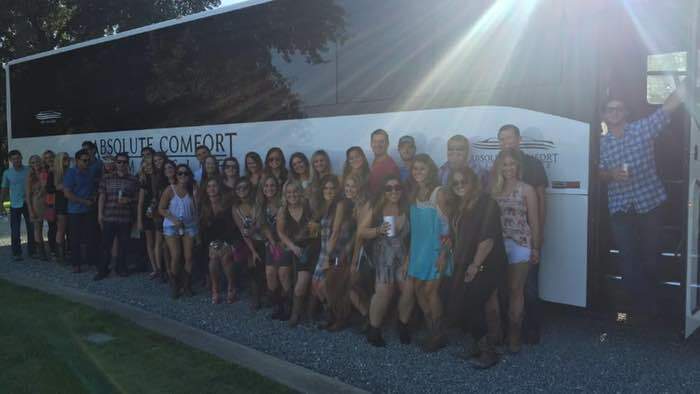 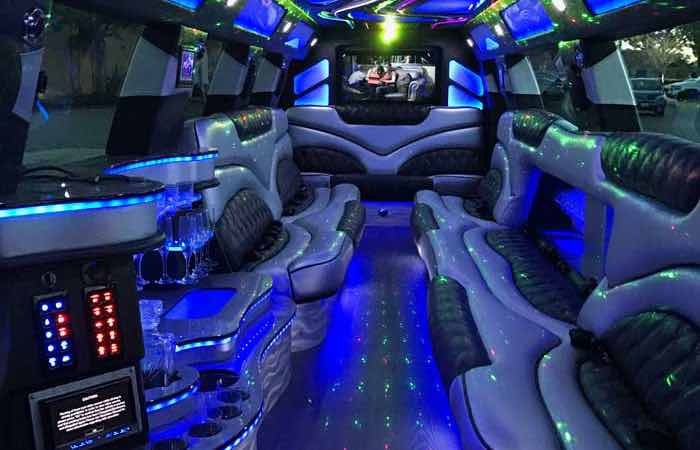 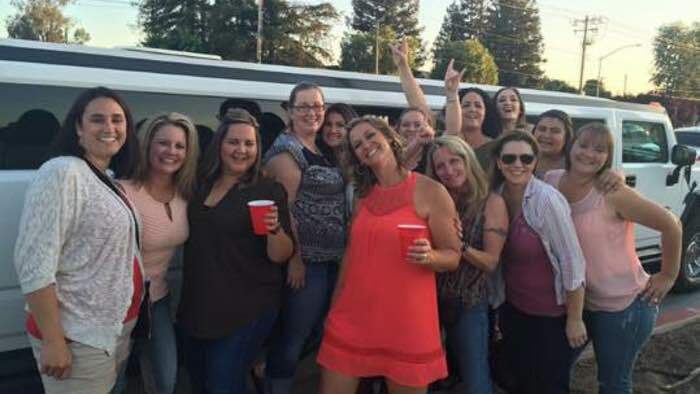 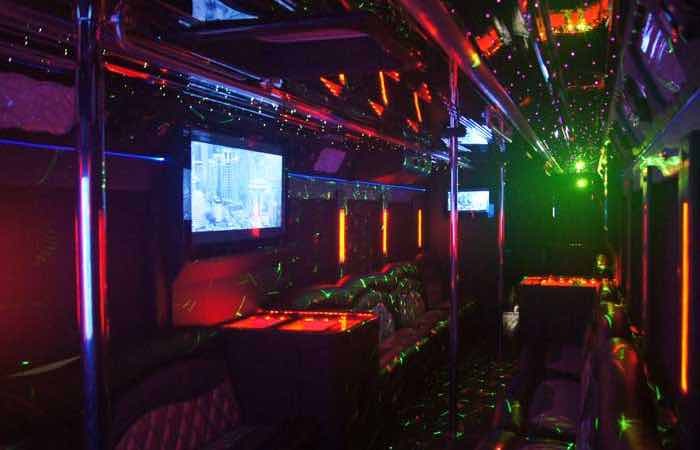 Leather seats, hardwood floors, dance pole, laser lights, strobe lights, mood sequence lighting, 4 flat screen TVs, top of the line sound system with Bluetooth capability and auxiliary hook up, luggage compartment, along with complimentary water and ice packed bars. 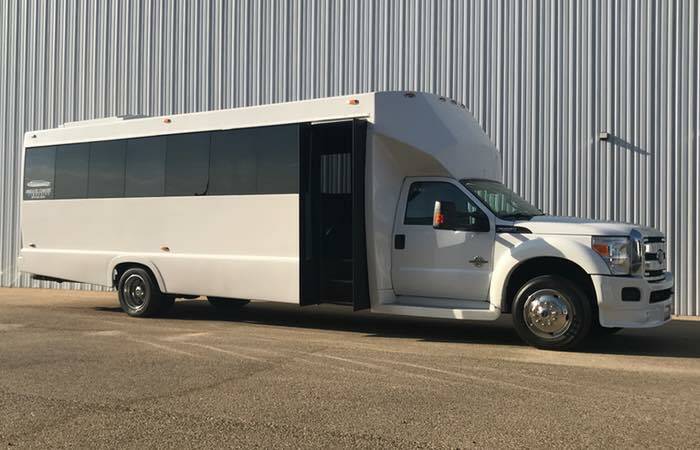 Disco ceilings and walls, hardwood floor, mini bar with sink, bathroom, 3 dance poles, top of the line sound system with Bluetooth capability and auxiliary hook up, leather seats, 4 flat screen TV’s, laser lights and fiber optic lighting, luggage compartments, along with complimentary water and ice packed bars. 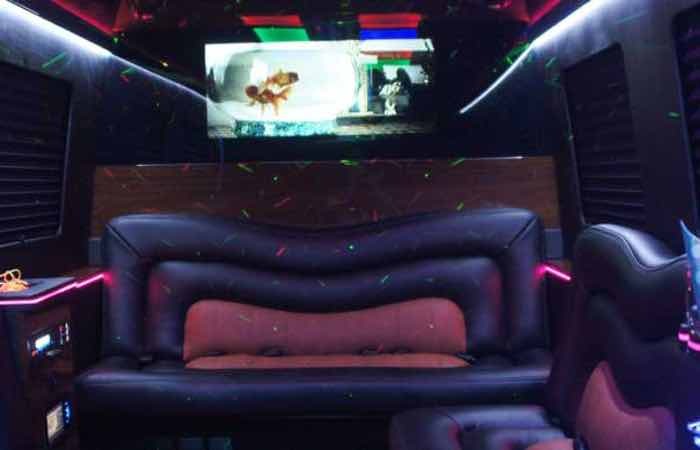 Disco floor, ceilings and walls, mini bar with sink, bathroom, dance pole, VIP area, leather seats, 5 flat screen TV’s, top of the line sound system with Bluetooth capability and auxiliary hook up, laser lights, strobe lights and fiber optic lighting, luggage compartments, along with complimentary water and ice packed bars.